Electrically-powered aircraft is an interesting concept, having a long history and a bright future. Such aircrafts are able to carry people relatively long distances, without burning any fossil fuel, and they are able to do so silently. These types of aircraft can be powered by batteries, and there have been several designs that are able to fly on solar power alone. Electrically-powered aircraft have a long history of experimental and proof of concept designs, and there are a large number of production models on the market today. In addition, a huge number of advancements in electrically powered aircraft are expected in the future. The first electrically powered aircraft was flown in the early seventies. This flight was followed by a large number of experimental aircrafts that were greatly improved on the original design. The earliest ones were the Sunrise and Solar Riser which were able to fly using the energy gathered while still on the ground. The improvements in electrically powered aircraft continued until there started to be planes that could travel well over a hundred miles an hour, carry multiple passengers, and fly for hours at a time. In the early nineties a solar-powered plane was able to make multiple trips across the US. During this time, a huge number of people started offering aircraft charter services to people. These flights include trips for pleasure, some business, and for viewing nature. Many of these services were built around the little amount of noise that is produced by an electrically powered plane. One of the biggest advancements in electric aircraft is in the sphere of offering an aircraft charter. These services are able to offer persons travel to unique locations, and many of these businesses offer the greenness of their aircrafts as a selling point. In addition, many persons feel better flying into protected areas in a quiet plane. 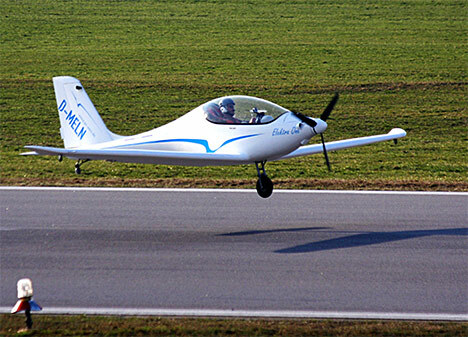 Many persons decide to build electric aircrafts on a hobby basis. It is currently possible to purchase aircraft kits that allow you to build an electric aircraft that can fly for over five hours at a hundred miles per hour. There are currently electrically powered helicopters, rotocopters, and tricopters. With the growing use of drones, the use of electric engine has boomed. Almost all small drone aircrafts fly off of electric power.In 2015 Solar 2 will attempt to make the first round the world flight using only solar power. In addition, Air Bus recently tested an electrically powered aircraft that is capable of carrying the payload of a regular gas engine. The future of electric aircraft will probably involve having them become more and more available to the public. It is expected that nearly all local and regional flights will begin to use electric aircrafts that will run on renewable energy. This will go a very long way towards reducing the carbon footprint of the aviation industry. It is also expected that using a hybrid private jet charter will become very popular. These aircrafts will be able to run off of only electric power when they are landing and taking off. This will help to reduce the amount of noise pollution around airports, and will also allow for huge number of small airports to be built right next to population centers. A hybrid private jet charter will also allow for smaller electric motors to be placed in the wings, and then larger gas motors in the body of the plane. This will help to improve the aerodynamics of future airplane designs. Improvements in solar aircrafts may also result in the creation of exceptionally high-flying aircrafts that can stay aloft for months at a time. This will allow persons to better observe weather patterns, and they may even become a cheap replacement for telecommunication satellites.